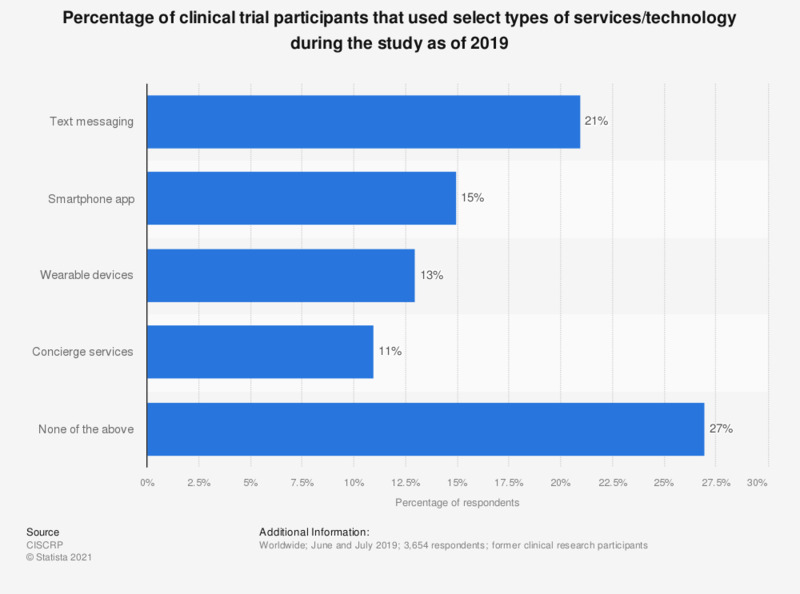 This statistic depicts the percentage of clinical trial participants that used select technologies during their clinical trial participation as of 2017. According to the data, 18 percent of participants used text messaging during their clinical trial participation. Original question: "What services or technologies were used in your study?"